Practice with intention. Practice with attention. Our yoga class combines precision in awareness, fluid movement and breath awareness to attain a perfect balance. Learn how to skillfully and safely move your body on the mat. You will leave the class feeling 100% satisfied with a workout for your body and mind. Do you want to learn Private Yoga? 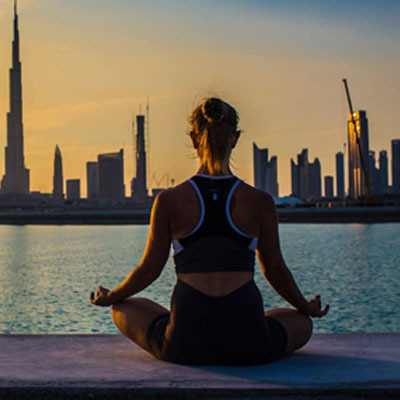 Be Fit in Dubai offers private yoga classes and personalized instructions on your body, health and lifestyle. And all this can be done in your own time. The flexibility of private yoga is what draws people to our Be Fit yoga program. We ensure you have the best flexibility to learn and practice yoga when it is convenient to you. Understanding the basics of yoga. Developing confidence to perform under a group setting. Tailoring your practice to suit your level of physical competency and emotional wellbeing. Cultivating therapeutic practice to improve any health issues you may be afflicted from like insomnia or back pain. Practice in a private space and receiving one on one attention. Private yoga classes help you gain a thorough understanding of the origin of yoga. These classes are ideal for beginners looking to familiarize themselves with basic yoga skills and practice. 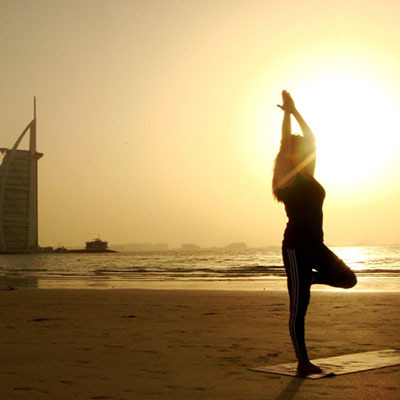 Our private yoga classes can take place in a location most suited to your convenience. And each session will be tailor made to suit your set of requirements. A private yoga class allows our instructor to create a personalized plan and address specific needs, which may not always be possible in a group setting. People with medical conditions, upon advice from your specialist or doctor can take up private yoga, even if you are undergoing rehabilitation. If you are interested in joining private yoga classes at be Fit, you can contact us to register for the program and work with a personalized instructor, by calling the number listed on our website.